Missouri Governor Jay Nixon has appointed Kelley F. Farrell to the Bi-State Development Agency (BSDA) Board of Commissioners. Farrell replaces Commissioner and former Board Chairman Hugh Scott III, who resigned from the board earlier this year. Farrell is a partner in the law firm of Blitz, Bardgett & Deutsch, LC in St. Louis. Her litigation practice includes representing clients in employment, business and real estate matters. She also serves as an adjunct professor for trial practice at the Washington University School of Law, where she obtained her law degree and was a member of the Order of the Coif. She has been included on the Best Lawyers in America recognition list for 2012, 2013, 2014, and 2015. Farrell received a Bachelor of Arts degree in political science and psychology from the University of Missouri-Columbia. Scott served on the BSDA Board of Commissioners for nearly a decade. He held the position as Chairman of the Board from July 2005 to June 2007 and during his tenure served on several board committees, including the Operations, Audit and Finance, Government Affairs and Communications, and Cross County MetroLink Committees. 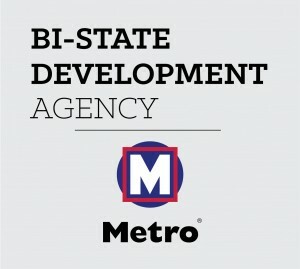 The Bi-State Development Agency 10-member board provides overall leadership and policy direction for the Agency, and is comprised of five members from Illinois and five from Missouri. In Missouri, the governor selects members of the board and the Missouri Senate gives final approval to the appointments. In Illinois, county board chairmen for both St. Clair and Madison Counties appoint their representatives.